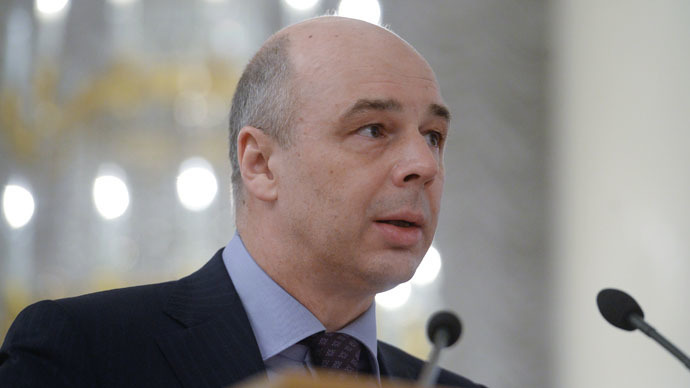 Russia will go to arbitration court if Ukraine fails to repay its $3 billion debt by the end of the year, Russian Finance Minister Anton Siluanov has said. Russia bought $3 billion worth of Eurobonds from Ukraine in December 2013, with Kiev due to pay the debt off by December 2015. The Eurobonds were placed on the Irish Stock Exchange and facilitated by VTB, Russia’s second largest bank. A total of $15 billion was promised by Russia to help buffer Ukraine’s dire economic situation on the condition a new government was formed. But Russia hasn’t offered new funds to Ukraine after the Maidan turmoil broke out in the country. Meanwhile, Ukraine has been facing a dilemma with international creditors refusing to write down the country’s debts and the IMF acquiring some of its liabilities. Ukraine has to pay about $10 billion to service its debt this year, including corporate and sovereign loans and bonds, with the total debt amounting to $50 billion. Kiev has to reach an agreement with creditors by the end of May to save $15.3 billion over 4 years as a condition for receiving the next tranche of a $17.5 billion International Monetary Fund loan. It comes in exchange for tough economic, budgetary and monetary reforms in the country. Moscow is Ukraine’s second-biggest creditor and is not going to demand early repayment of the $3 billion loan, despite the fact that one of the contract’s conditions was violated as Ukraine’s national debt exceeded 60 percent of the GDP. The Russian authorities have repeatedly stated that they expect Ukraine to fulfill its obligations. Currently, Ukraine is seeking to restructure at least $21.7 billion of public debt. The country’s central bank reserves stood at the dangerously low level of $5.6 billion as of March 5,and the national currency, the hryvnia, has lost more than half of its value in the past six months and emerged as the worst performing currency in 2014. Last month Moody’s rating agency downgraded the long-term issuer rating of Ukraine to the second lowest Ca grade from Caa3. Ukraine will most certainly default on its debt without restructuring and new complex loans, Bloomberg analysts said. Other experts think that Ukraine's debt will be restructured with difficult conditions, as a default by Kiev is not in the interests of any of its creditors.